Bio: Terimuso means friend in the lingua franca of Mali, West Africa. My poems reflect the many homelands of my childhood. 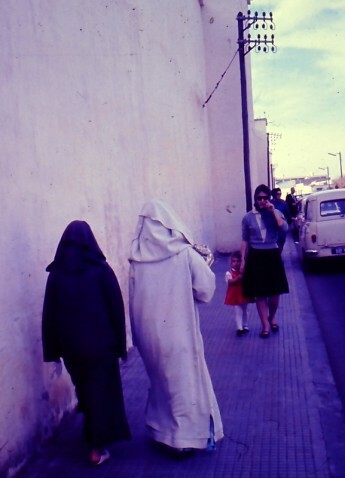 My dad snapped the header photo to this blog in Casablanca, Morocco, as we were en route to Montpellier, France. This photo—with me in a red dress, holding my mom's hand—foreshadows the themes I explore in poetry: light and dark, East and West, mother and child. In this blog I juxtapose early and recent poems, stringing them together as they come to mind or as one theme suggests another. I invite you to accompany me on the journey.